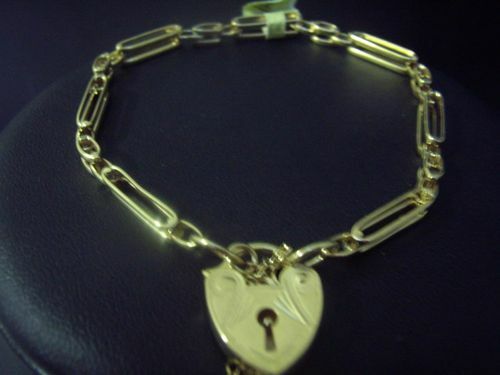 This 9 Carat yellow gold bracelet features a gate link and plain finish locket . Approximately 19 cms . Design by UBC Web Design.